Thank you for your interest in Sweetwood Guitars. Here is a brief overview of our company. Founded by Glenn Sweetwood in 2002 in San Francisco, CA. We are now based in Soquel, CA (a hamlet in Santa Cruz). Our shop is by appointment only. First, we are a design firm. Many of the products you see in music stores originate from our CAD files. Our public list of clients include: Supro, Buzz Feiten, B-Way Guitars, Carl Harvey Instruments among many others who we can not disclose (NDA's). We design, prototype and occassionaly build their "rock star guitars" as well. If you need design consultation, don't hesitate to give us a call. Second, we have a parts business and supply aftermarket necks. This is the least expensive way for you to "get a Sweetwood." You can read up on the incremental improvements we use to insure our necks are industry best. We also make parts for other boutique companies. Third, we produce our own line of uncomprimising instruments and hardware line for guitars and basses. Our instruments are found in the hands of touring professionals to discerning bedroom warriors. 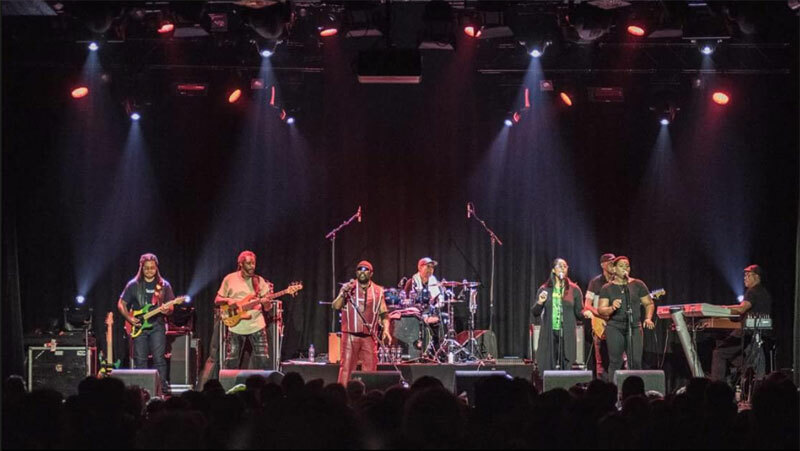 Reggae legends Toots and the Maytals. On the left, Carl Harvey and his "Rastacasta." Carl is a total shredder and arguably the best guitar player to ever swipe reggae. (Speaking of "Reggae"...Toots is the guy who invented the word - LEGEND) Nothing is more satisfying than seeing one of your babies in action.